Chula Vista California is a densely populated area of metropolitan San Diego and may seem to be primarily residential. However, there are a number of industrial buildings scattered along the edges. Industrial roofing is one of the major concerns when it comes to owning these buildings. Industrial buildings require a great deal of maintenance, specifically the roofing. Hiring the best roofing contractor should be your goal for any repairs, maintenance or installation. When it comes to finding that contractor, there are some key things to remember. Consider the pricing: As much as the quality depends on the money you spend, it should not be your only consideration. There are companies that will take advantage of you just as there are those that will provide poor work for lower prices. Therefore, it’s good to do some research and collect estimates from several companies as well as checking referrals. Licensing and insurance: Accidents can happen at any time, so before hiring a roofing contractor for your industrial building, ensure that they have the required insurance documents and licenses. This protects them and you from liability should any damage or injury occurs on the job. Job completion: The time taken by the roofing company to complete the roofing job is also a major concern, especially for industrial buildings. We understand that you have a business to run and roofing can cause interference to production. It is important to find out up front how long a job will take so you can make the appropriate arrangements. A more reliable roofing contractor will be sure to stick to this timeline as well as keep you fully informed if there are to be any changes. Experience: To be sure that you will get quality results upon hiring a roofing contractor, you need to ensure that research the experience and success rate of the company you are interested in. A roofing contractor with enough experience about roofing in your area will also know more about the local weather so that they choose the best materials and systems to best serve you. 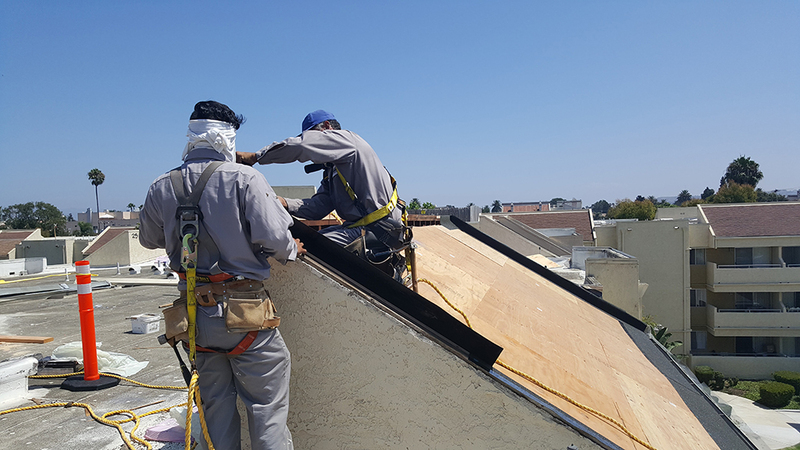 Hiring the best industrial roofing contractor in the Chula Vista area is important to maintain the value and integrity of your industrial building. Don’t hesitate to ask other clients for recommendations. We guarantee to provide the highest quality work for fair prices and we can bet the job done when you need.